Hi….I wanted to make sure to tell you upfront that I have received no product or compensation to promote this product. I do so because it works and I wanted to share with my readers. Thanks for visiting. 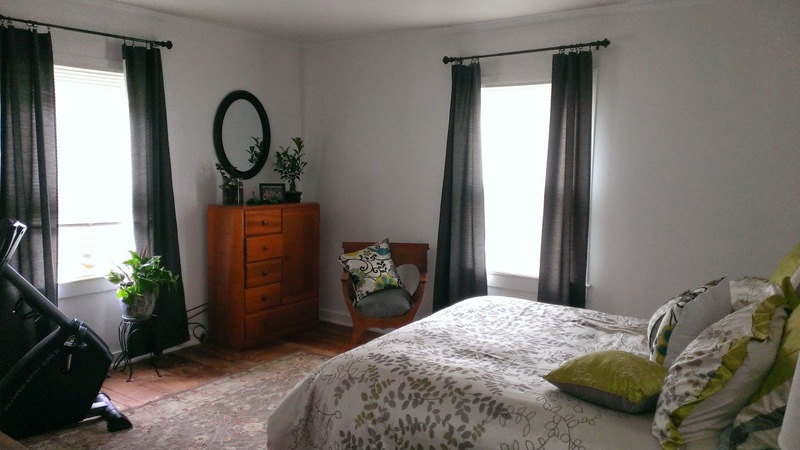 You have seen the pics of my spare bedroom redo - I told you about the paint all over the old hardwood floor. Now to tell you how I got it off. 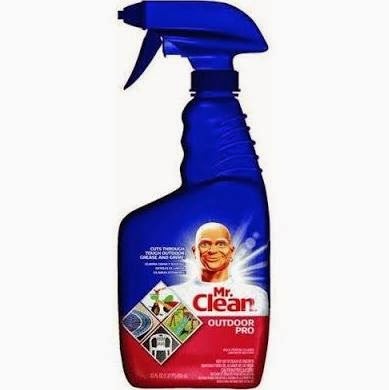 I tried so many products - the BEST product was Mr. Clean Outdoor Pro! Yep - it cleaned better than products made to remove paint. Extra strength Goop was so bad I am taking the can back to Menards. Dish soap and hot water plus Mr. Clean Outdoor Pro did the trick. I used a rag and a putty knife. I hate using chemicals but I could not get the paint off without using chemicals. With fans in both windows - gloves and a mask I tackled the floor. But I got it done! The floor does not look the best but it is better than carpet and will do the job until we replace the whole house with new hardwood floors. This is the room pic before I totally finished cleaning the floor. If you look close you can still see areas that I had not removed the paint. Great tips! Thanks so much for sharing them with us! That's great. Glad that did the job. Room looks awesome. This is a great tip! 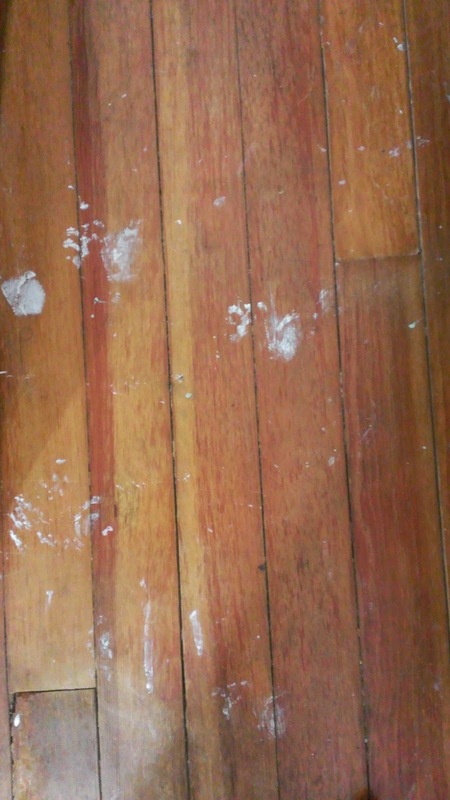 We just pulled up carpeting up in our living room and found great hardwood floors, but there is paint in some spots! I will be trying this out! We're moving into a house in a couple of weeks and my bedroom has really bad carpet. I peeked underneath and it's wood. There's some paint on it, so this is a great help! Thank you for posting! I'm impressed! thank you so much for sharing! I will be trying this product for sure! The two pictures are not the same. They aren't even the same spot on the floor! Take a closer look! I just noticed this comment - the entire floor was a mess. I might not have gotten the exact boards but the pic of the clean floor looked just as bad as the other pic. Please remember ~ Life is definitely hard when you try to find negative in everything! Thanks so much for this GREAT info! I didn't know about Mr. Clean Outdoor Pro! We have a Menard's close to or home. I am going to pick a bottle up. I found rubbing alcohol works and less expensive. 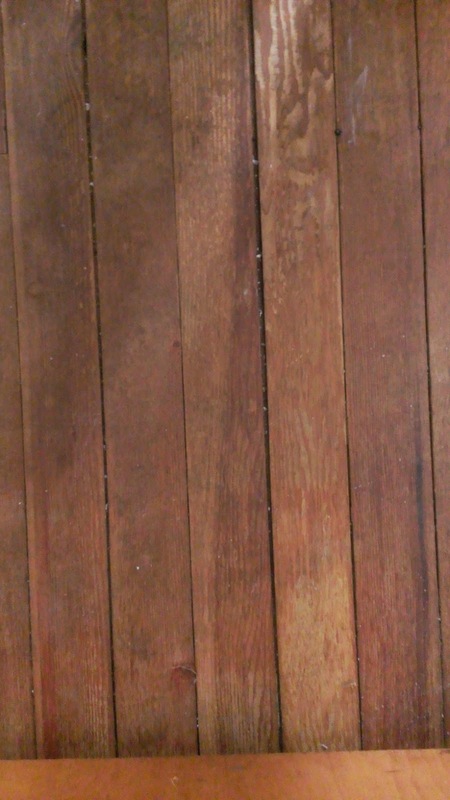 Pour it either over the paint stain on the floor or in a sponge and just rub and wipe up. Very easy.